Chosen! Us! Can You Believe It?! Chosen in so many ways! Not to belittle what might be obvious choices, today we’ll just name two! Chosen to speak what we are passionate about. We love what we do. Thank you for supporting us to evangelize and disciple amaZioni church leaders. Furthermore, today, Carlene is as excited as she can be for another reason! 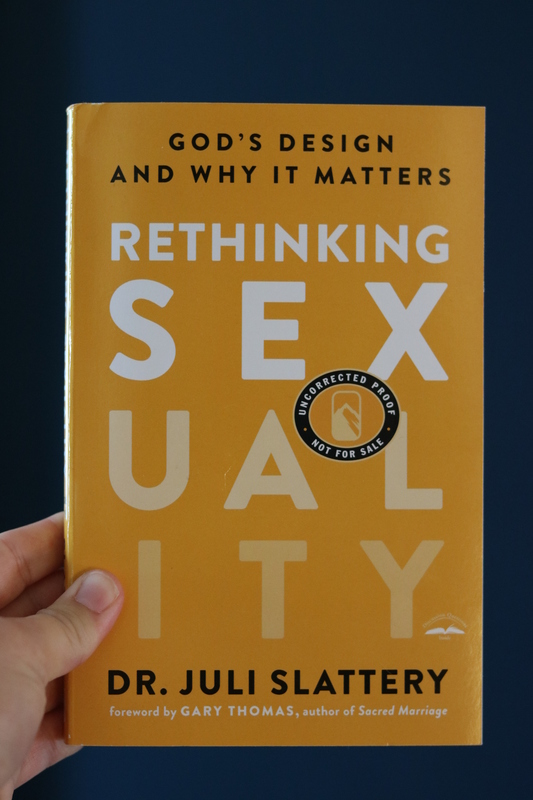 Recently Carlene was chosen to be on the Launch Team for a book by Dr. Juli Slattery, Rethinking Sexuality. Getting sneak previews has confirmed that the message of Rethinking Sexuality, is a message close to our heart. We plan to continue writing our Bible study, Redeeming Sexual Love. But for now, we believe the message these two books contain is not our message, but God’s to communicate in whatever way He chooses! We’ve asked Him to open and close doors to guide our us to our part in the task of speaking the Gospel truth of human sexuality. The answer? Missionaries are just people, and have real issues to work through too! Coming to South Africa was a huge part of our healing. At a critical time, God had exposed what were fruitless patterns of communication to set us on a different road, then stripped us of our support systems. In Africa, we found ourselves on a path where we could see His light in the distance, but it often seemed very far away! Life was hard, but moving toward better. On difficult days we had no one to turn to except one another and God’s Word. Through commitment, communication, and God’s intervention at crucial times, He began to expose the nature of our sin, the threat to family and community, and the abundance of His grace and power to heal! God’s healing work in our life has changed who we are. It has changed how we relate to one another and how we share the Gospel in our ministry. God’s message for redemption is relevant in whatever culture we find ourselves in, and it is powerful to draw people to Himself and one another. Spirituality and sexually two sides of one coin no matter what continent you call home, or what the color of your skin. It’s time for the Church to speak up and speak out in relevant ways. Did you like the zebra pic? 25 years in South Africa, with at least one visit to the game park per year has afforded us many gorgeous pics we can never figure out how to use! For the next 10 weeks, we’ll use some of these to highlight quotes from Rethinking Sexuality. View these quotes by searching for the hashtag: #creationwaits819 (for Romans 8:19). And yes, I did like the unusual picture of the zebra; looking forward to more good pics in the coming episodes. Ronney, I’m thinking I remember that you don’t have a Facebook account. Most of what I’ll be doing with this launch is through Facebook and Instagram, just throwing short quotes from the book out there along with a pic. I’ll try and figure out a way to get those posts to you, but if you have a way of Following me on Facebook, that would be much better! If you have a friend who is on FB, from their account you can type #rethinkingsexuality into the bar and a list of posts will come up. There’s a section for pics and a section for videos where you’ll be able to view those. I’ve done on video per week so far. You could also search for #creationwaits819 to see the quotes/pics I’ve done. There have been 2 of these each week. Sorry, I’m not able to figure out how to make these available on this site! Hope this helps! Yay! So excited for you, Carlene! I love your attitude too: God has given us the message, and if helping Juli Slattery get her book out advances that message, praise the Lord! Love that. Hope you are well! And Thank you so much for your transparency, Carlene. It is encouraging to know that “even missionaries” have deep struggles, (i hope that translates the way i want it to! ); that i am not alone, i dont have to be perfect to be fruitful-simply available. Thank you also for testifying of the Lords redemption- of putting things right…Praise God that surrendered to our Conquering Hero, these struggles are turned into victories! You have given me a beautiful gift tonite. Thank you. Thanks for the note, Kristin! Ya, similarly to my above response to Ronney, the quotes will be quick blurbs put out on Facebook and Instagram along with a pic. Can you follow me through one of these? If not…. Hmmmm…. I’ll have to think about that one. Blessings my friend! Thanks for your encouragement! Thanks for your note, Kristin. Being a part of the launch team has been an interesting learning curve for me. Very time consuming in addition to our other ministry stuff going on. I’ve been posting videos on Facebook and more #creationwaits819 photos on Instagram: both accounts which I was sort of using to follow people, but hadn’t done a lot of posting. I’m afraid I don’t know how to transfer them from FB to make them available on this site, and I’m thinking you don’t have a FB account. 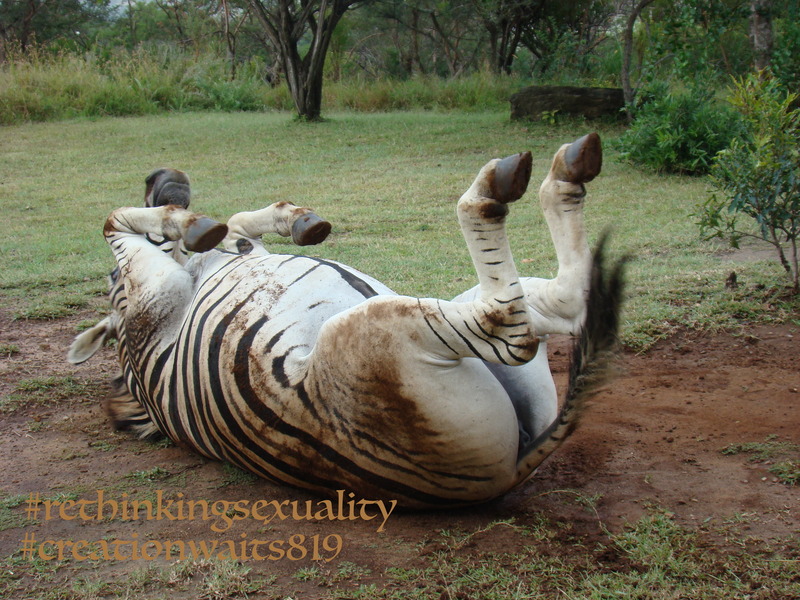 But if you’d like to see the posts you can do it from someone else’s FB page and search for #rethinkingsexuality. There’s a section that will show you pictures and another that lists the videos, there all there! I’ve only done 4 so far. Have been trying to do one a week. Blessings my friend! Ever Wondered What Greg Sounds Like Preaching in Zulu?